November 27, 2017 | Posted Orthodontic Needs | Be the first one to comment. 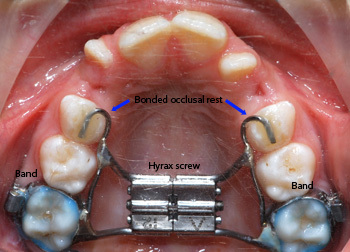 A Rapid Palatal Expander (RPE) is an early orthodontic treatment used to correct a cross-bite, and are the most common orthodontic appliance used to expand the palate of young children. Dr. Glenn typically recommends an RPE for a child with a posterior cross-bite around 5-6 years old, depending on how the child will handle treatment. Most patients feel pressure on their teeth throughout treatment, however experiences may vary. The RPE is placed on the palate with 2 rings around each molar. There is a key used to turn the expander twice a day for two weeks; each turn expanding the palate in small increments. During treatment, some children start to see a gap between their front teeth; this is a positive sign. A typical cross-bite will be corrected by the RPE within 3-6 months of use. 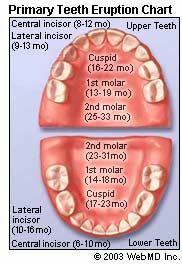 What age will my child loose their baby teeth? November 01, 2017 | Posted Losing Baby teeth | Be the first one to comment.